This line of G-RAFF platforms is widely considered the best, safest, patented, elevating platform out there. 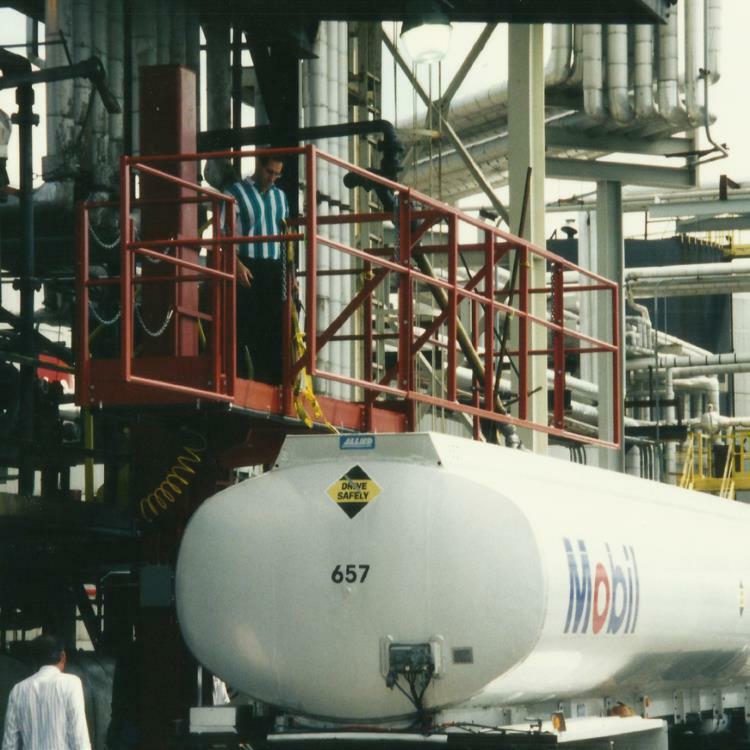 It has been specially designed to work with bulk tankers, whether truck mounted or rail car mounted, while ensuring the safety of workers and the efficiency of the operation. Arm-Tex is proud to offer elevating platforms from Green Manufacturing. Green Access and Fall Protection has been a leader in safety equipment for over fifty years with various equipment. 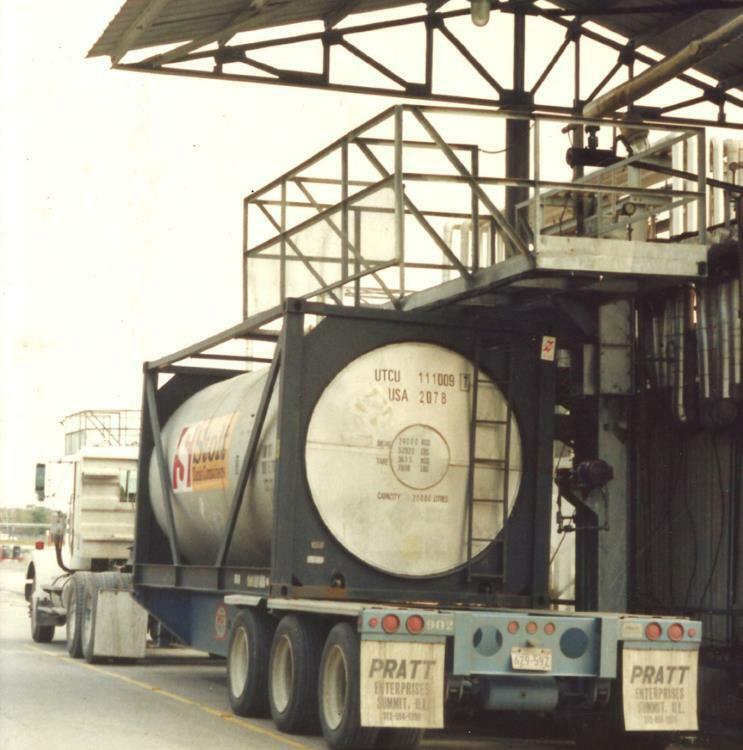 But their G-RAFF elevating platform is one of their most innovative and cost-effective products to secure top domes or manways on a typical tank car or dry bulk truck or rail car. Green offers four types of these platforms. The first is the M-5 model. This platform is designed to provide fall protection for single-top manholes for tank trucks and bulk trucks. They are customizable to meet your operation’s specific needs and include self-adjusting stairs to make sure users can safely access the top of the platform. The second is the M-26 model. 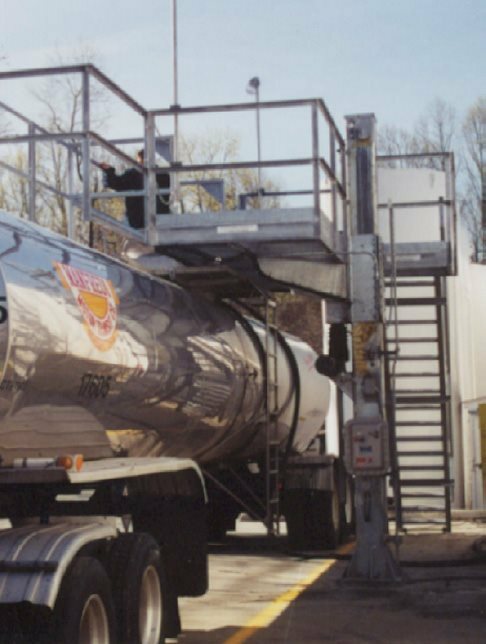 This platform is designed to give operators access to multiple tanks and bulk truck top ports. The third is the HC and TR series. 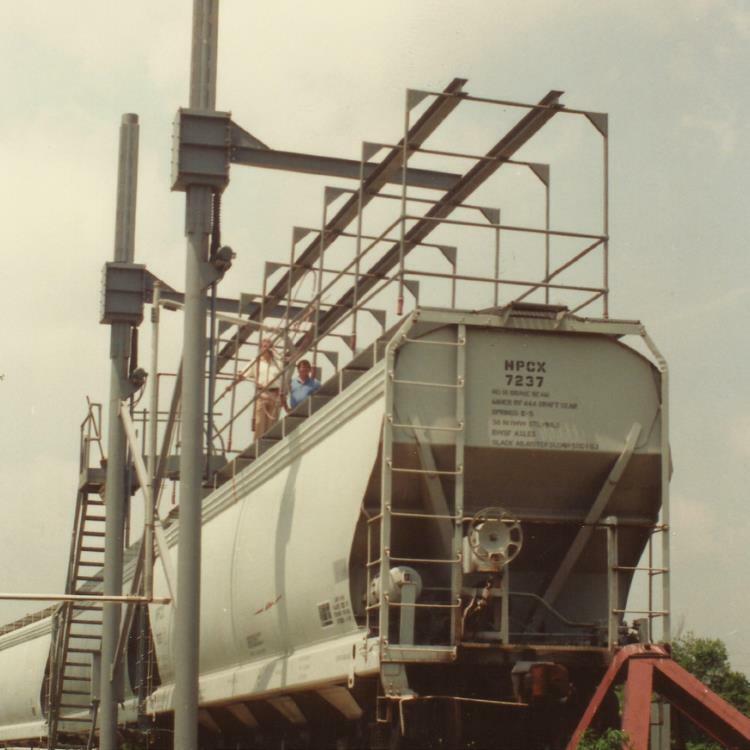 These are patented elevating railing systems for continuous fall protection on hopper cars and tank trucks. They provide self-supporting railing enclosures and stationary platforms accessible by a stairway. Fourth is the RTT series. Much like the M-26, this platform provides safe access and fall protection, but It does not require self-leveling stairs. It is designed to help operators replace manual gangways and can protect anywhere between one manhole to the length of the entire vehicle. Designed for tank / bulk trucks, Model M-5 provides fall protection for single-top manholes. Self-adjusting stairs give operators safe access to the top of the platform. Easily customized for your application. 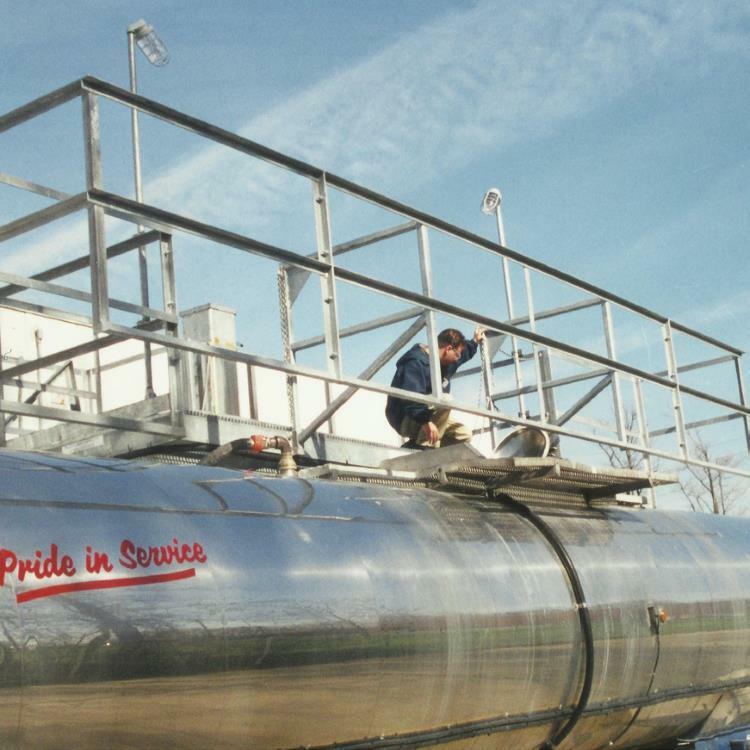 Patented elevating platform specifically designed for accessing multiple manways on a meleost tank / bulk truck. 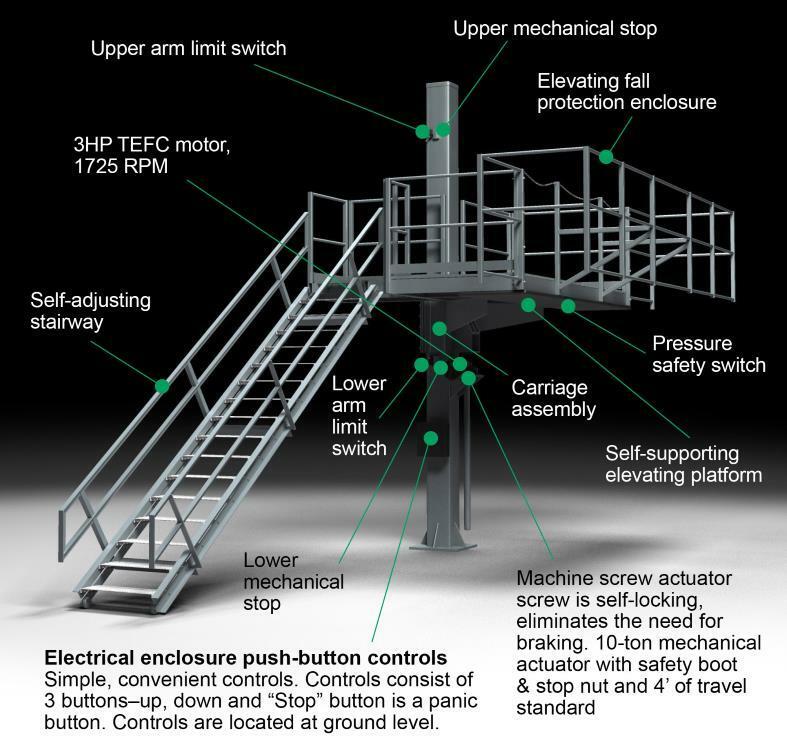 Featuring a self-supporting elevating railing enclosure, machine screw actuation, and stationary platform with access stairway. The RTT series is designed to provide safe access and fall protection like the M-26 and does not require self-leveling stairs. It is retrofitted to existing truck loading platforms, making it ideal for replacing manual gangways. Models range from protecting a single manhole to the entire length of the truck. 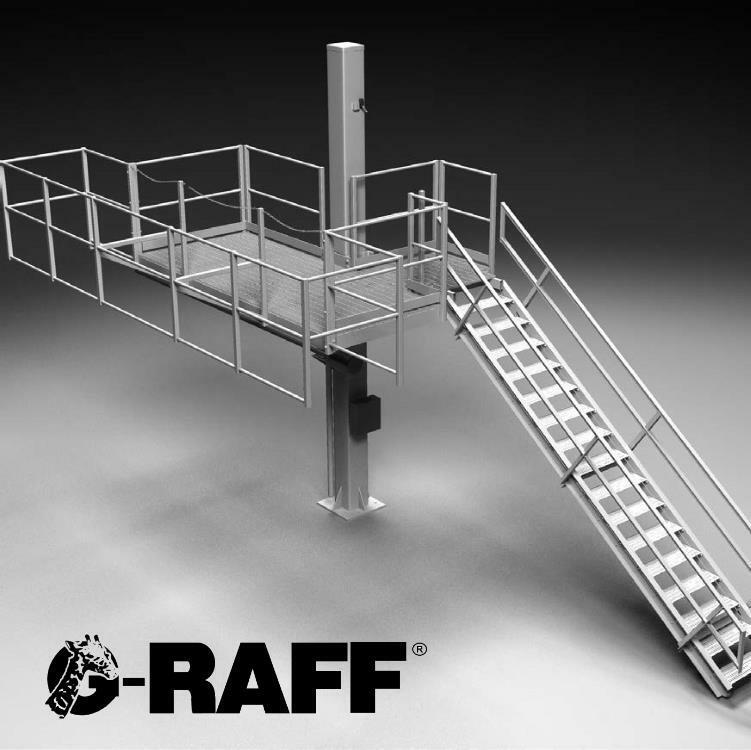 There are countless benefits to G-RAFF elevating platforms: their patented, proven design is ideal for loading and unloading various service vehicles and vessels of various heights or with multiple compartments. It’s self-supporting design and railing enclosures keep platforms stable and safe. Its machine screw actuation, push-button features, and loading arm support give them a great deal of versatility. And their customizability and easy installation are unmatched. Above all, they meet all OSHA requirements for fall protection and are constructed with heavy-duty steel customizable coats. Keep your workers safe with Green’s G-RAFF elevating platform line. With an inventory full of the best brands and over 25 years of experience, an expert at Arm-Tex can help you find the equipment you need to increase your operation’s safety and efficiency at a great price. Contact us today!